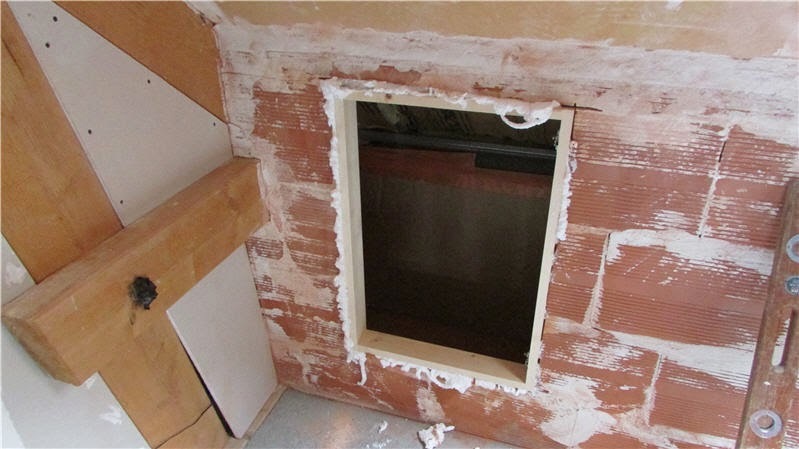 The sides of our grenier are lined with terracotta bricks as part of the house insulation and there was no access to the 60cm space under the eaves. 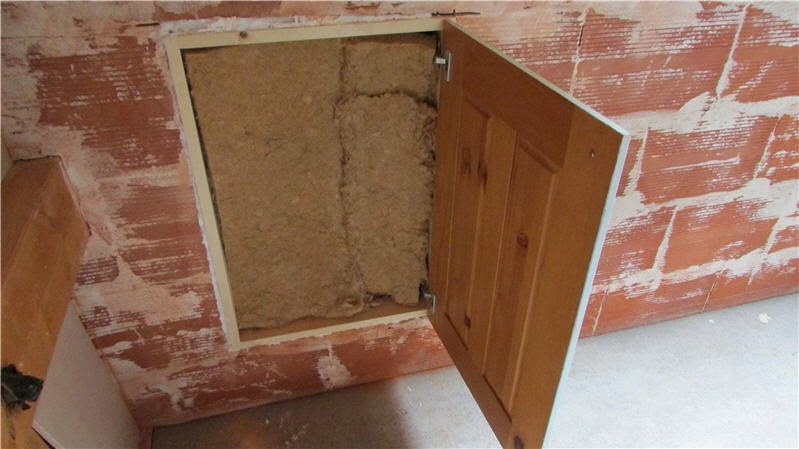 There are a couple of reasons why we now need to access this area and the ideal would be to install a small access door. 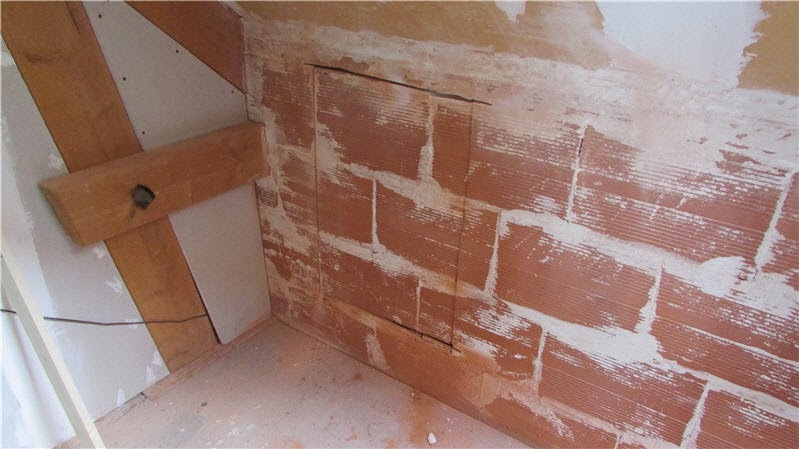 Can you buy a cheap small door in France? We have not found one suitable but thanks to Jean, who is having a new kitchen, one was available. During the showery weather we have been installing the door. The worst part was cutting the hole... Despite making a small dust tent the terracotta dust went everywhere and the whole grenier was covered. 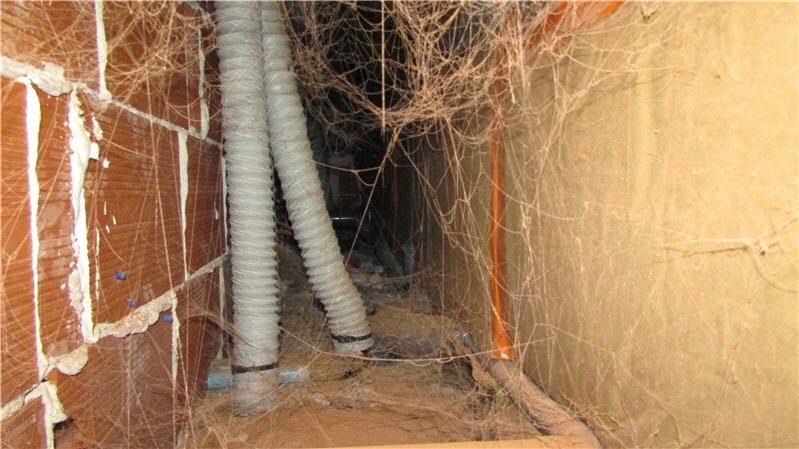 A bit of added insulation. 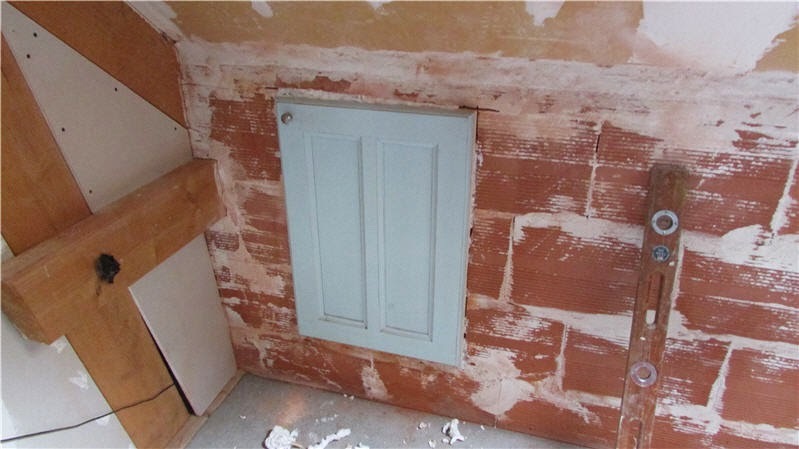 So thank you very much Jean and Nick, your old kitchen unit door has been recycled. 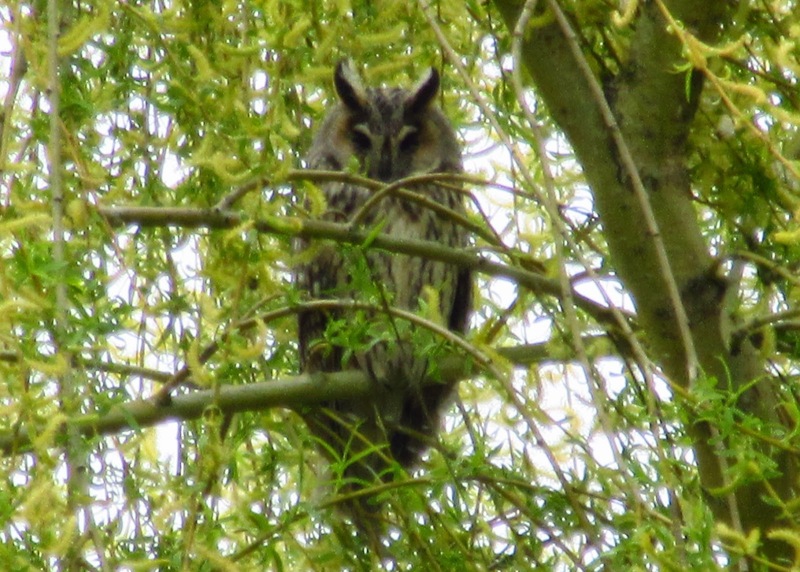 postscript: We now have a slightly better photo of our Long-eared Owl.. Guess our willow tree is its favourite place to sit. Today I got a bit of video of it preening itself. Clever solution. You're quite correct, small doors like that aren't available. 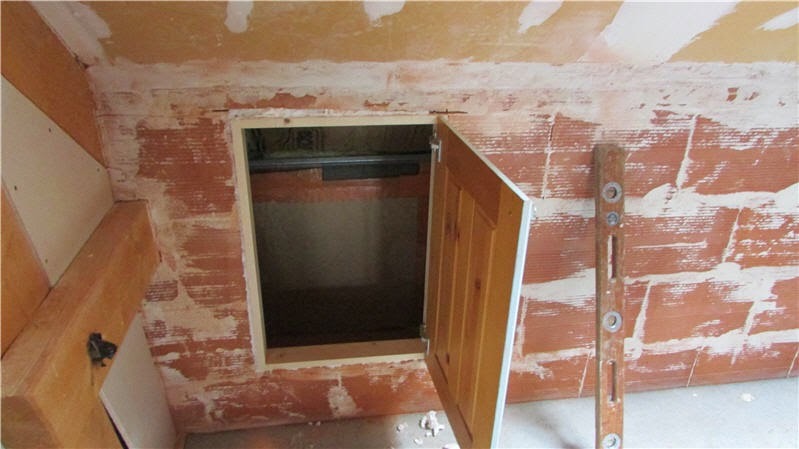 We had the same problem here looking for an eaves door so we had our joiner cut down a full size door we had left over after the remodel. 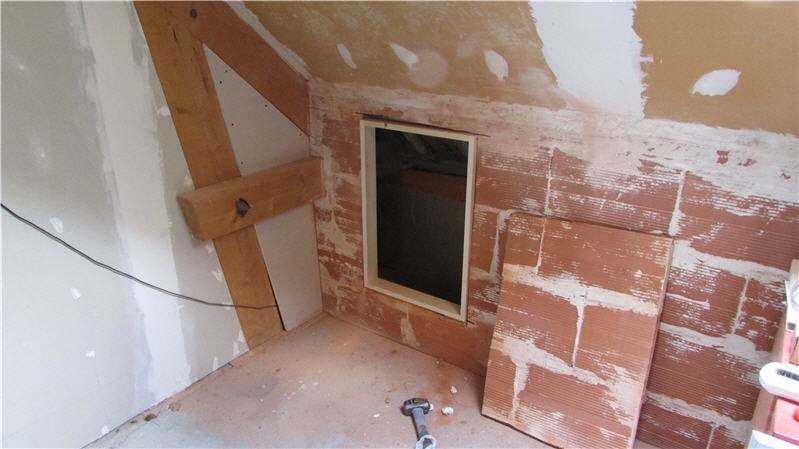 Those terracotta tiles are a nightmare for dust! Time to name the owl as he's clearly there to stay? Oscar the owl?